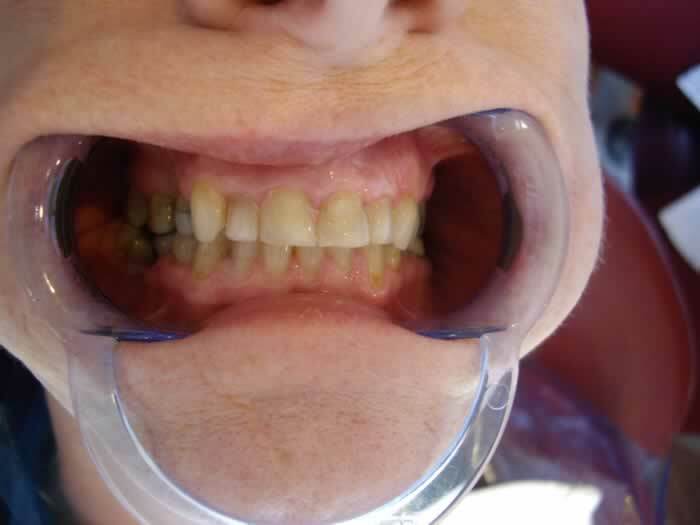 This lady had crooked and discoloured front teeth with large fillings. 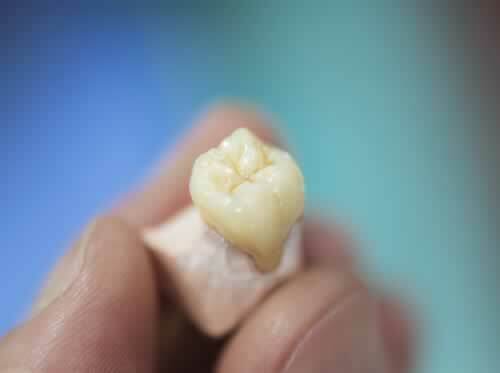 She wanted to be able to smile with confidence, therefore she decided to get her front teeth crowned. 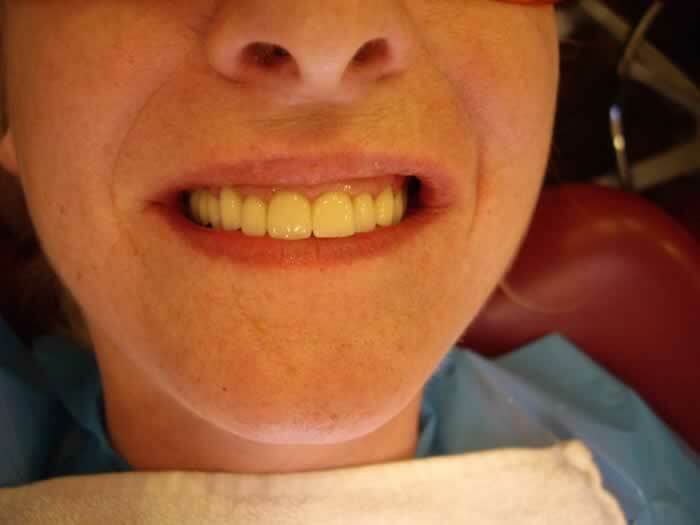 We placed 8 emax crowns on her front teeth, and she can’t stop smiling ever since.